A few weeks ago, Amazon announced that they were going to acquire Goodreads, one of the most popular social sites on the internet for book lovers. 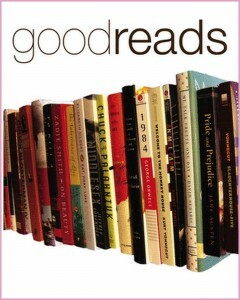 Goodreads has become a great place to go for sharing reviews, recommendations, ideas, and more since its debut in 2007. While this is certain to be mutually beneficial in many ways, we have to assume that the goal here is to develop the Kindle Social experience into a real selling point for the eReader line. The Kindle has an interesting position with regard to social interaction. By its very nature it allows greater privacy than most paper books would. No matter what situation you happen to be in, nobody can tell what you are reading without looking directly over your shoulder or asking you. This cuts out the opportunity for people to randomly discover shared literary interests. At the same time, because it offers access to practically any book in print at a moment’s notice there is a lot of opportunity for sharing and recommendations. Users just need a way to willingly share their activity now that book covers can’t do the job. The current integration with Twitter and Facebook are alright in this regard, but really a dedicated space for that sort of posting would go over better. Hence the Goodreads acquisition. There are a few things that both organizations stand to gain beyond that, of course. One of the main services that Goodreads provides its users is book recommendations. Regardless of what your opinions are of their other business strengths, nobody is going to deny that Amazon is the best there is at accurately targeting recommendations based on previous purchases. Taking that technology and applying it to these book lists will improve the performance immensely. That helps to drive up business at Amazon, since the Kindle Store remains the best place to buy eBooks. In addition to the sales, there’s a wealth of data to work with on the Goodreads site. Tying the review system there into the main Amazon site could provide much more accurate information for potential shoppers. The associations and trends found between various readers will probably do some good in refining recommendations further as well. It’s going to be a while yet before anything changes. The acquisition that was just announced won’t actually take place for a couple months. Even after that there will need to be a fair amount of work before anything is ready for release. Millions of readers are about to get a much more robust social experience out of their reading. 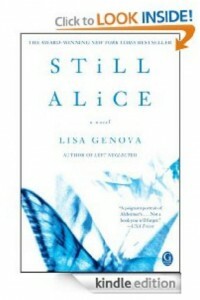 Still Alice by Lisa Genova is a fictional account of a 50 year old Harvard psychology professor with early onset Alzheimer’s. It is available in both Kindle and paperback editions. This book has won numerous awards and had a long run on the New York Times Bestseller List. I discovered this book while searching through Goodreads recommendations. Goodreads has introduced me to a lot of different authors and genres I would never have heard of otherwise. It is simple, yet poignant. The book is written from the perspective of the Alzheimer’s patient as opposed to the more common caretaker viewpoint. So, the reader gets a first hand glimpse into the daily tasks and emotions from the patient herself. Most people think of Alzheimer’s as affecting only the elderly. In a majority of cases those people are beyond retirement age. Before Alzheimer’s struck, Alice held a jam packed schedule full of lectures, research, and teaching. The aggressive disease took all of that away from her. It not only takes a toll on her life, but on her family and friends as well. The writing itself is really direct, with no frills. Sometimes there is a bit of disorganization in the flow of the plot, but in a sense, it represents Alice’s train of thoughts. Still Alice has glowing reviews. Many of the reviewers suggest that everyone affected by Alzheimer’s in some way should read it. I also saw multiple reviews saying how accurate Genova’s depiction of the disease is. The fictional account has a loose connection to the author because she is a Harvard educated neuroscientist herself. Genova has another bestselling novel: Left Neglected out, and will release Love Anthony on September 25th.